KS Engineers, P.C. (KSE) was the design engineer for AP Construction Company for this fast track Design/Build project. On the Pennsylvania side, the existing I-78 toll facility was located in Williams Township, PA., approximately one mile west of the Delaware River. 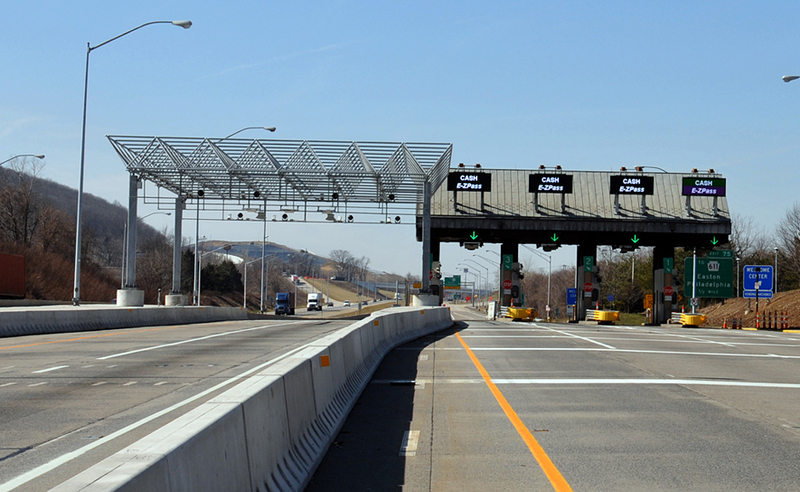 The existing toll plaza was a seven-lane facility that accommodated both manual toll collection and E-ZPass. Westbound I-78 was a three-lane freeway that widened to four lanes in the vicinity of the Cedarville Road overpass, prior to expanding to the seven lanes approximately 800 feet from the existing toll plaza. The Commission was committed to implementing Open Road Tolling (ORT) at its I-78 river crossing. Under the I-78 ORT project, motorists equipped with EZPass would have the option of paying their tolls at highway speeds. ORT customers would pass under a gantry of high-speed transponder readers, avoiding the necessity of slowing down or stopping. Interstate 78 crosses the Delaware River approximately two miles south of the confluence of the Lehigh and Delaware River, connecting Northampton County in Pennsylvania with Warren County in New Jersey. The bridge is located approximately five miles south of Easton, Pennsylvania and Phillipsburg, New Jersey. The mainline roadway includes three travel lanes in each direction.